Linda Akutagawa is President and CEO of LEAP (Leadership Education for Asian Pacifics), where she is responsible for LEAP’s strategic direction, sustainability, relationships and collaborations. A passionate social entrepreneur for over 25 years and beneficiary of LEAP’s leadership programming, Ms. Akutagawa is an advocate for diversity and believer in the value and urgent need for diverse, equitable, and inclusive leadership. She has dedicated herself to continuing the cycle of leadership development and inspiring Asian and Pacific Islanders to step up to leadership roles across sectors, industries, and communities. She is a nationally recognized speaker and facilitator on leadership, diversity, equity, and inclusion, nonprofits, and board governance. 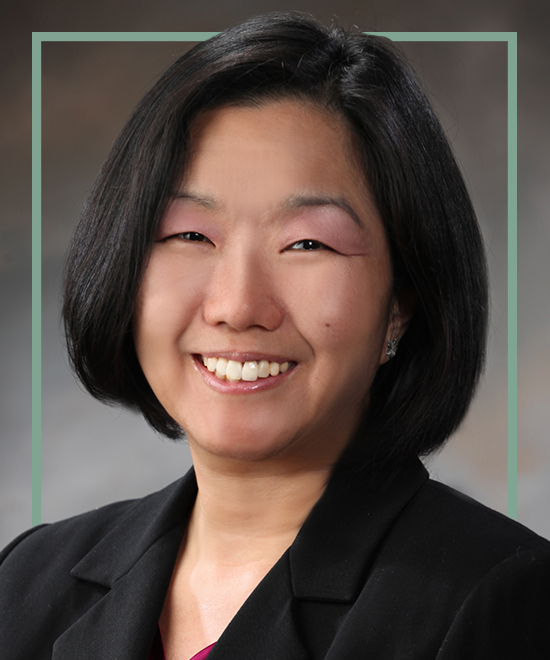 In her role as an advocate for diverse corporate boards, Ms. Akutagawa is the Chair of the Alliance for Board Diversity of which LEAP is a partner organization. She is an appointed member of the California Department of Insurance (CDI) Diversity Task Force and a member of the Asian/Asian American Institute Advisory Board at California State University at Los Angeles. Linda is also active in the community as a Board member of Japanese American Community Services (JACS), a community grantmaking organization and a Board member of the Asian Pacific Planning and Policy Council (A3PCON). Linda received her B.S. in International Business with a minor in Economics from California State University at Los Angeles. She also has a Certificate in Nonprofit Board Consulting through Boardsource. She is married and a fur-mom to her Queen-of-the-home cockapoo, and aunty to eleven nephews and nieces. Grace Toy, CPA is the Sr. Vice President of Administration & CFO at LEAP (Leadership Education for Asian Pacifics), a community-based, non-profit leadership training and development organization. She is responsible for the organization’s administration and operations, which include finances and human resources. She was previously a Manager at Sasaki Shishima Yamanaka & Co and a Senior Accountant at Deloitte Haskins and Sells. Ms. Toy is a graduate of the University of Southern California. Nancy Yap is the Director of Development at LEAP (Leadership Education for Asian Pacifics). Her responsibilities include fundraising for the organization and building external relationships through community and alumni networks. In addition to her development responsibilities, she represents LEAP as a trainer, facilitator, and speaker across the country. Prior to working at LEAP, she was an artist manager for artists such as Suheir Hammad, Denizen Kane, Beau Sia and the Visionaries. She has worked at numerous nonprofits including the Asian American Writers’ Workshop (AAWW) in New York City and Youth Speaks in San Francisco. She has also consulted on various projects including the 2003 Tony Award winning Russell Simmons Presents Def Poetry Jam on Broadway. Connie Oh is the Program Manager at LEAP (Leadership Education for Asian Pacifics). She oversees all planning, delivery, and evaluation of LEAP's programs and events to develop and empower Asian and Pacific Islander (API) leaders and their communities. She also manages LEAP's communications and social platforms and assists in LEAP's research regarding the diverse needs of API and other marginalized communities. Prior to joining LEAP, she was a Development Associate at Visual Communications. She received her BA in History and East Asian Studies from Occidental College. Akira Nakano is the Executive Assistant at LEAP (Leadership Education for Asian Pacifics). He assists LEAP's President & CEO, CFO, and Board in executive duties. Akira has spent most of his career in corporate. He did video marketing for TRW, a former LEAP sponsor, for 12.5 years and spent the last 9 years in architecture/engineering as an Executive Assistant at Johnson Fain, Gensler and Walter P Moore. He is passionate about music as both a classical pianist and a composer, and he is currently spearheading a music education program.